High-speed applications like fans, blowers and pillow-block bearings often use the wrong lubricant, especially when they involve greased components. These high-speed applications also tend to run hotter, which causes the lubricant and the component to break down quicker. This 2-minute, 18-second video explains how you can control this excess heat by selecting the proper high-speed grease. Take the next step. 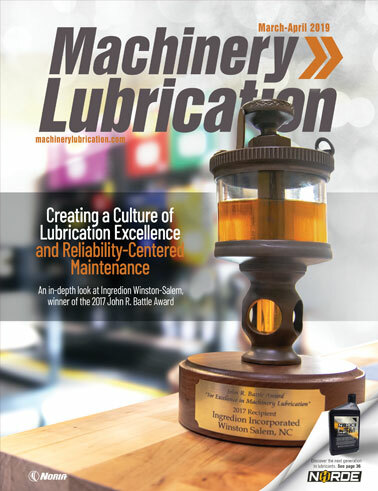 Learn how to choose the right grease for your application and avoid compatibility issues by attending Noria's Machinery Lubrication training courses.